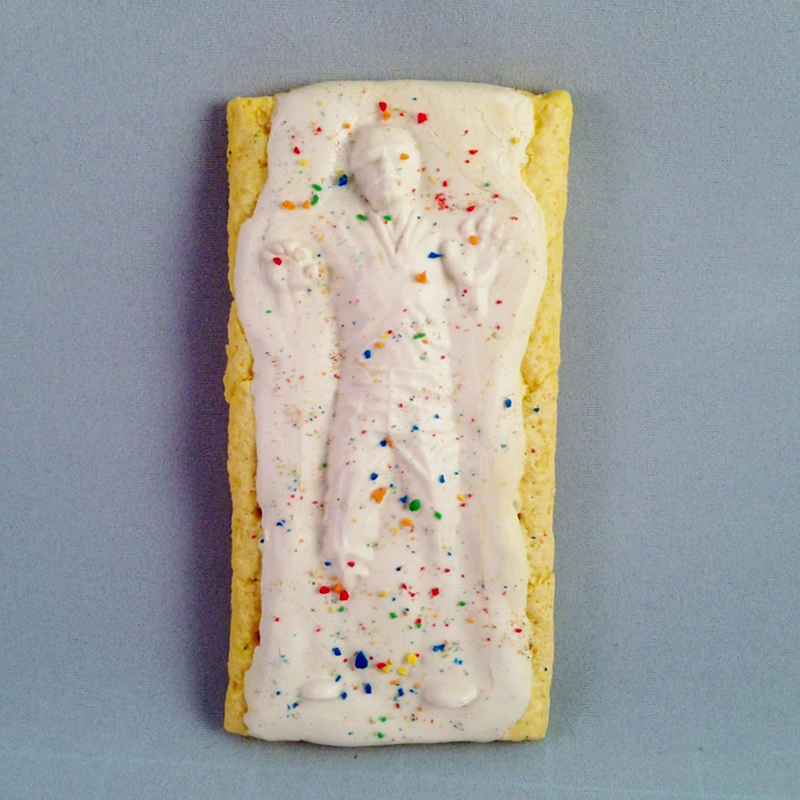 In a pop culture mash-up that is as incongruous as it is oddly fulfilling, a Texas toy store created a product called “Pop-Art: Frozen Han Solo”—essentially a toaster pastry with frosting that mimics the well-known Star Wars image of Han Solo frozen in carbonite. Alas, the fake Pop-Tarts aren’t just fake in that they aren’t authorized by Kellogg’s, but they aren’t edible either. The “(in)action figures,” as they are called, were made from resin and then individually hand-painted. More bad news: The unique pieces that were selling for $30 a pop are already completely sold out. Unlike real Pop-Tarts, these weren’t mass-produced. Only 15 were made.